Via Johnny $, Fox News Channel’s Kimberly Guilfoyle tweets that tonight’s edition of “The O’Reilly Factor”–which we will note is the highest-rated program on cable news–will be guest hosted by “Red Eye’”s subversive host Greg Gutfeld. 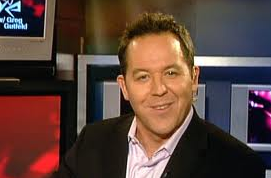 Gutfeld has been getting plenty of play at 5 PM, but 8 PM? Let us know what you think ion the comments.